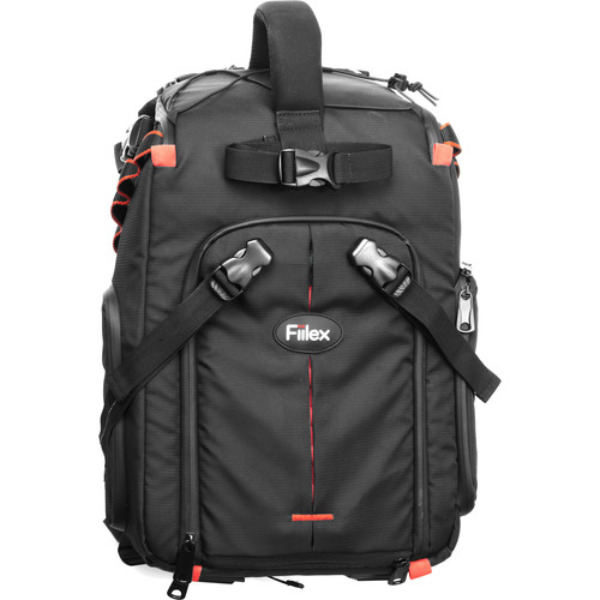 A portable option for run-n-gun shooting, the Fiilex Agility Backpack allows videographers to carry a small studio anywhere. The backpack features rip-resistant nylon fabric and wide shoulder straps for a comfortable fit, and its all-in-one design includes 6 configurable compartments to store lights, camera backs, lenses, and more. It also provides room for accessories like audio mics and power cables, as well as a protective pocket for a laptop. Tripods and light stands mount to the front and sides of the pack, allowing for a mobile, professional set-up. Lightweight, customizable, and durable, the Agility Backpack is a convenient option for anyone working on-location.